Thrifty and Frugal Living: Free Father's Day Card from Walgreen's & 25% Off! 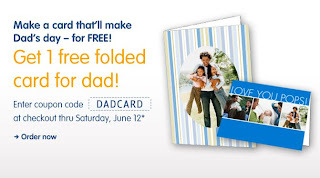 Free Father's Day Card from Walgreen's & 25% Off! Walgreen's has a couple of great deals for Father's Day. 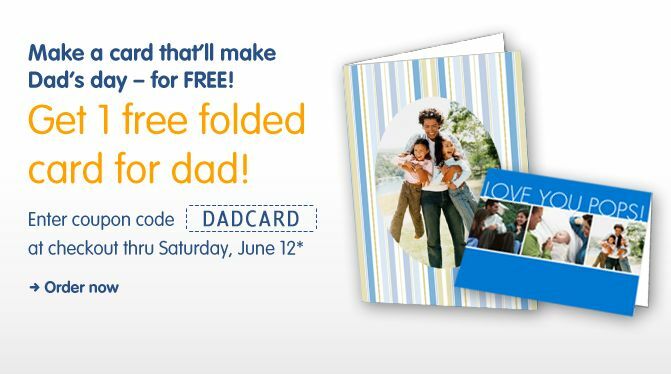 You can get a free folded Father's Day Card by entering coupon code: DADCARD at checkout thru 06/12/10 and you can also get 25% off of photo gifts by using the code: MANSIZE25 this one also expired 06/12/10...so hurry!